San-X has outdone themselves again! 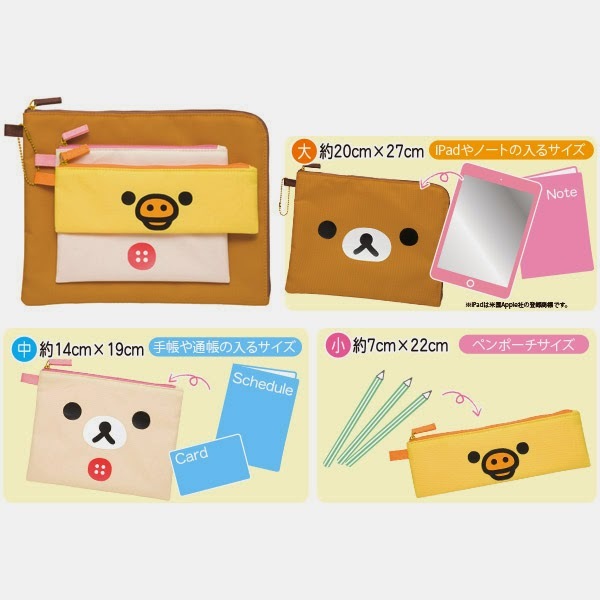 They've came up with a series of matching pouches of various sizes to suit your needs. 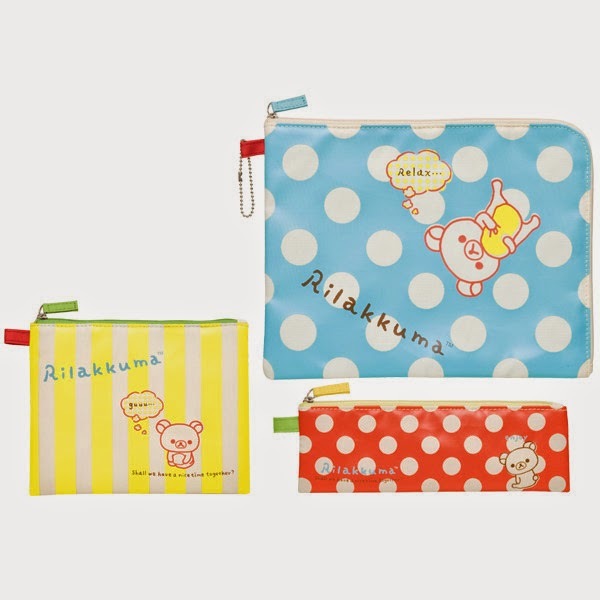 You can use these to store your ipad, note books and your stationery. 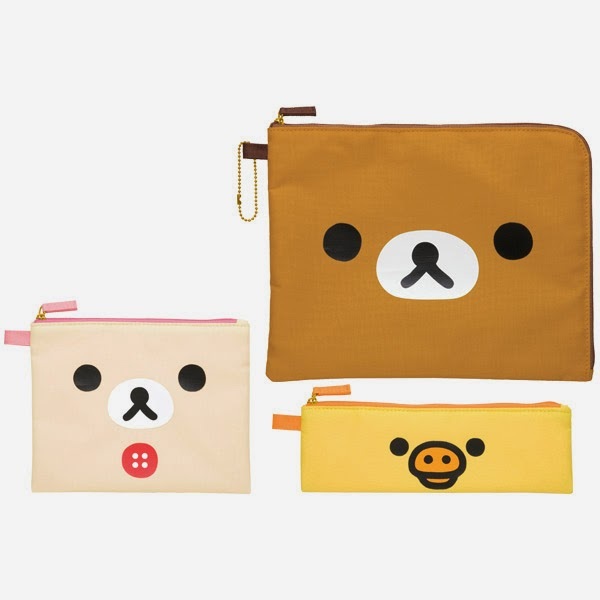 Isn't it nice to open your bag and see these colorful pouches? They make me want to go back to studying. 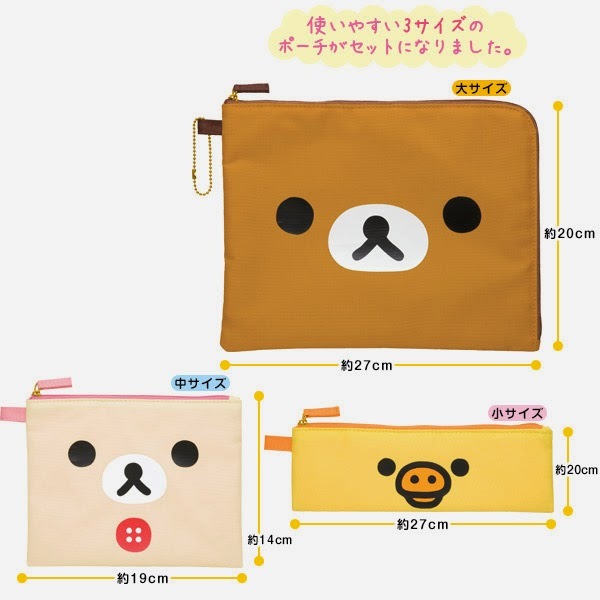 The idea of matching pouches and sizes is similar to the matching lunch boxes. 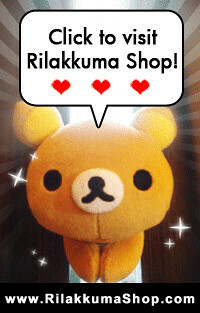 The classic is always a favourite among the Rilakkuma lovers! 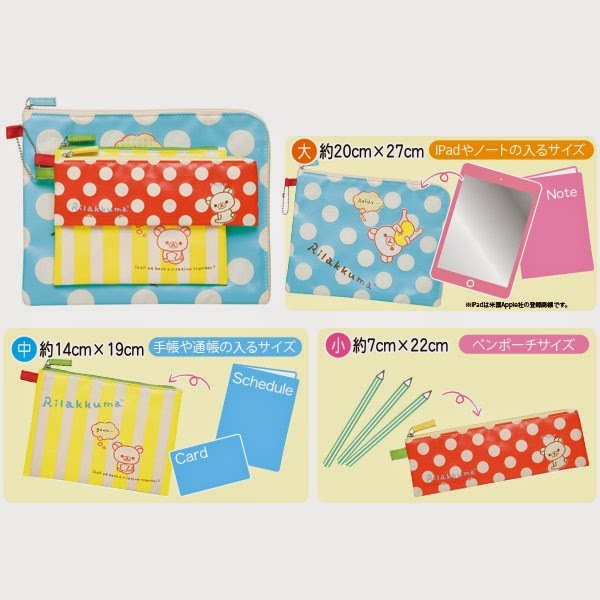 This is the exact same design as the classic lunch boxes. We've ordered extra for these babies and we hope that they'll come real soon. We are going to keep one set for ourselves too! They are just wayyyy too cute and also functional. 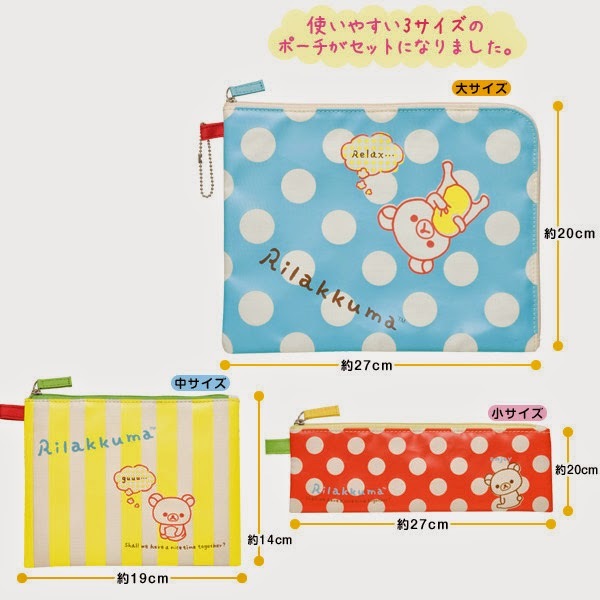 They will be sold as a set and not individually. More photos after we get these babies on our hands.